are a breeze to make, taking under an hour total using a Smoothfoam ball for a base and washi tape for the embellishment. 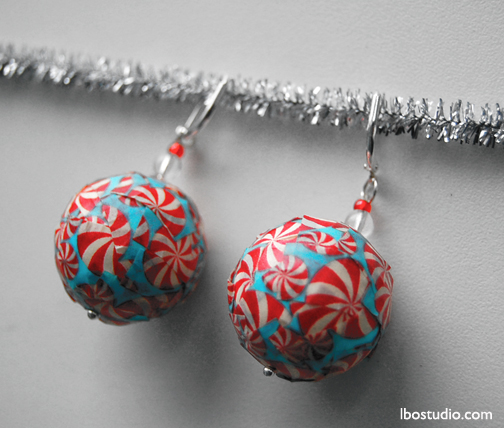 Make a pair for yourself and another for the hostess! 1. 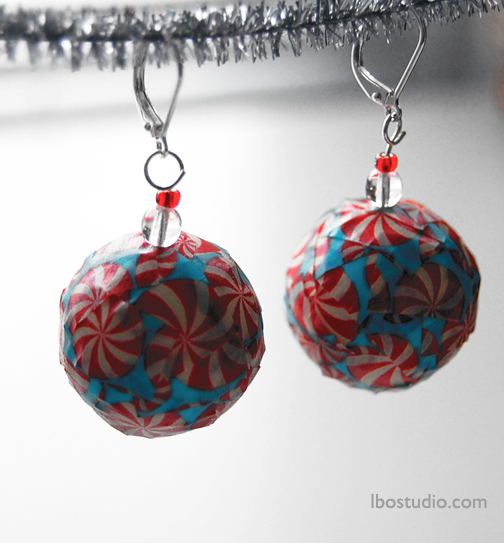 Cut 1/4″ long pieces of washi tape and stick them to the ball in a random order. Do the second ball in the same manner. 2. Push the awl or needle through the center of each ball. Thread each ball onto a head pin. Thread on the clear bead and then the seed bead. 3. With the round nose pliers, bend the top of each head pin into a circle/ring. 4. Use the needle nose pliers to open the loop at the base of each lever back. Slide on a dangle and close the loop.